Denise: What was the biggest challenge when you taught high school English? Peg: Lots of challenges come from outside the classroom, but inside, motivation is the big one. Once a teacher gets a group of students, no matter what the state, the administration, the other teachers, or the students themselves do, her task is to make them want to better their knowledge of language. I tried to provide reading material that was both worthwhile and appealing. I devised writing topics that drew on students’ interests. We did a lot of writing, talking about writing, and analyzing each other’s writing. We looked at how good writing goes together, how it grabs the reader and shows him a world different from his own. We did lots of active things, too, from some very non-traditional book reports to staging a trial of Henry VIII for treason. Honestly, I had as much fun with all that as the students did, and it always makes me happy when a student from the past remembers that learning was fun in my classroom. Denise: When you left teaching to pursue writing full-time what was the first novel you wanted to write? 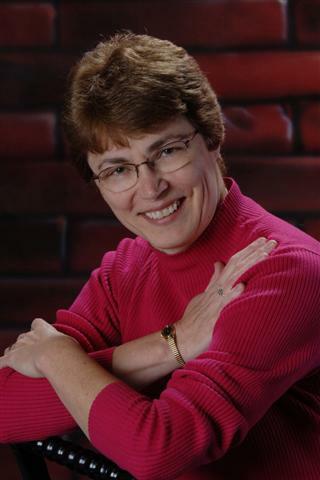 Peg: The first novel I wrote was about a teacher who finds her principal murdered in the school hallway. (They say write what you know!) I looked at it again recently, and it really isn’t ready for prime time, so I just consider it practice. Once I finished that book, however, I knew two things: I could complete a novel, and it was what I wanted to do for the rest of my life! Denise: When it came down to writing “Macbeth’s Niece,” was a story already forming from all your years of teaching Shakespeare? Or, did you have to wait for inspiration to strike? Peg: Macbeth was somebody I felt I knew after years of teaching Shakespeare’s play, so writing a story connected to it had been circling my brain for some time. I wanted to begin with a romance (I’d been told they were easier to sell) but my natural bent is toward mystery and suspense, so the tale turned out a mixture. One publisher told me it was more of an adventure than a romance, but I didn’t think that was a bad thing at all. My idea was “What if Macbeth had a young relative living in his castle when things started getting interesting?” From there the story built itself in my mind: The girl’s life would separate from her uncles’ early on. The story would be hers, but there would be points where they intersected again. From there I started writing, and that’s where the real work came in, making those fanciful, lovely ideas into events readers can accept and enjoy. Peg: Let’s start with Simon and Elizabeth, since they’re my first series. I like writing historical novels, and Five Star, which had published Macbeth’s Niece, was willing to look at a mystery series. They liked the first book and have published three so far with #4 in the editing phase. The first one, Her Highness’ First Murder, assembled quickly in my head. A young commoner would meet Princess Elizabeth Tudor and they’d come to like each other. A murder would interrupt her household, and the two would join forces to solve the crime. When the first book was well-received (I could NOT believe the great reviews from Kirkus, Pub Weekly, Historical Novel Society, Library Journal and others) I was already working on Poison, Your Grace. In this one, Elizabeth is concerned about her brother, now king of England. Naturally, she calls on her old friend Simon to help her solve the case. In book three, The Lady Flirts with Death, Elizabeth is in the Tower of London, accused of plotting against her sister, Queen Mary I. Simon balances helping her with events in his own life, a friend who’s accused of murder and a young woman his wife takes into their home. The last two books are set during Elizabeth’s own reign. I try to show her realistically, though we’re all just guessing when we picture historical characters. Simon admires her greatly, so he sees her in a positive light. At the same time, he recognizes she can be demanding, peevish, and completely uninterested in the amount of trouble she creates for others—especially Simon himself. Five Star is a great publisher, but they like to take at least a year to get a book from my “the end” to publication. I felt I could do more than that, so I contacted a second publisher, LL-Publications, with an idea I had for a paranormal series. The Dead Detective Agency, the first book, presents an intriguing idea of life after death. When a murdered person wants to know who killed him or why, he can engage someone like Seamus, a dead detective who returns to earth to investigate. How that is done and what the results are make for stories that are sometimes funny, sometimes poignant, and always intriguing mysteries. 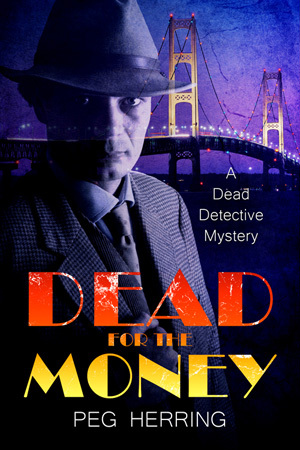 Book #2, Dead for the Money, came out last year, and Book #3 is currently in the editing process. My third series is totally different from the other two. The idea came to me when I was living in Richmond, Virginia, for a few months. I was staying in the fancy Fan District, but a number of homeless people hung out nearby. The idea came to me of a homeless person who finds herself wanting to protect a little girl and her father from killers. 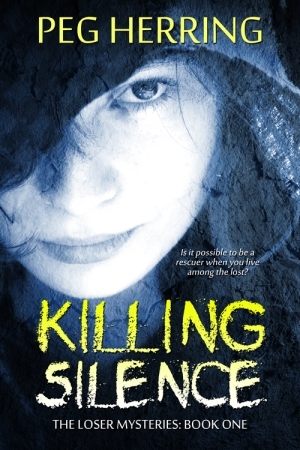 In Killing Silence, a dirty, almost non-verbal street woman who goes by “Loser” must pull herself together and solve a murder. 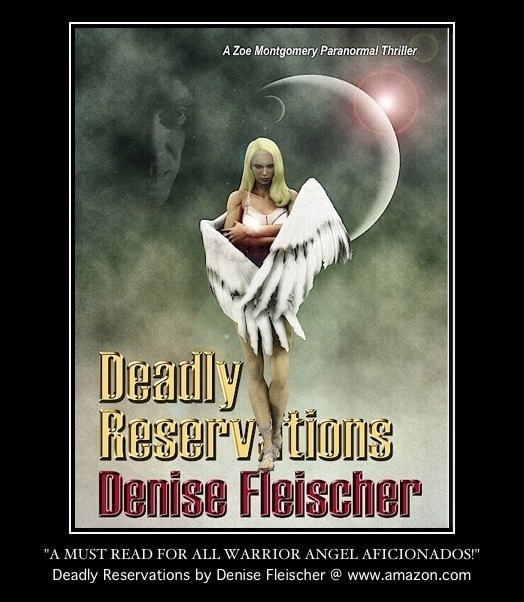 In order to do that she has to elude the police, face the killers, and confront her own demons. Book Two, Killing Memories, came out last year, and the final book, Killing Despair, is set for release this spring. Denise: Each series creates a unique protagonist and therefore unique experiences. Do you find the storylines unfolding naturally or do you use outlines to guide them carefully? Peg: I’ve tried outlining time and time again, but I can’t do it. I have to feel the story as it unfolds. When I begin writing a book I have a rough idea of the beginning, middle, and end, but the details fill in as I go. Luckily, none of my publishers require a detailed synopsis! Peg: As a high school student, I went to Chicago for a few days in 1967, and I can tell you, for a Michigan farm girl, it was a memorable experience! There was a huge demonstration, and I saw cops and students “interacting” with each other. 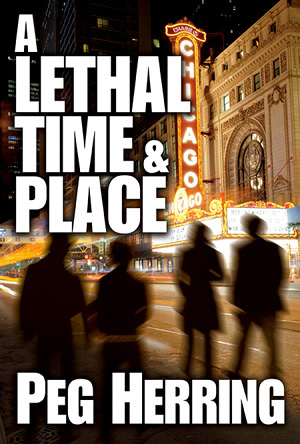 When I came up with the unique idea for A Lethal Time and Place, I needed an older setting, before DNA and other advanced procedures came into use. The events of the late ‘60s fit perfectly with the needs of the story, and I had a great time putting it all together. Denise: Who is Leo and what experience does he and three others share? Peg: I can’t answer that one! The fun of this novel is in large part based on the mysterious backgrounds of Leo and his three friends, Libby, Roy, and Memnet. A fan recently wrote to ask for more stories with these characters, and I’d love to do that when I get time. There seems to be a lot more they could accomplish, and there are some relationships heading in positive directions. Denise: What keeps them alive? Denise: It seems as if you intentionally choose people who have fallen through the cracks or simply don’t exist in a physical manner. Is it because these are the stories less told? Are they greater challenges? Peg: I’m entertained by stories that have something different about them, so speculating on the afterlife or what it’s like to be homeless makes my work more fun for me. Fans have mentioned that I seem interested in people who are disadvantaged, who must hide who they are or even hide completely. As much as I like them, my characters are a challenge. Loser is probably the best example: She began speaking no more than thirty words a day. Now that was setting myself a huge task. Try writing a mystery protagonist who doesn’t like to talk! How does she interview people and find out information. Luckily, once Loser started on the road to recovery, she was able to overcome some of her phobias. She still can’t sleep inside a building, though. Denise: What book are you currently working on? Peg: I just finished the final edit on Killing Despair, and I’ve had a little trouble settling on what’s next. The logical step is the last book in the Simon and Elizabeth series, but I’m waiting for my vague beginning-middle-end thing to solidify. That might mean I work on something else first, but I’m willing to take suggestions on what that should be.